It's that time of year...vacation season! Residents across the Washington, D.C. metro area are traveling to the many beaches and resorts just a day trip away! For most people, smart phones, tablets, and laptops play a huge role in everyday life, and even more so for those in the technology industry. Nonetheless, summer vacation is no excuse for travelers to neglect their cyber security. In fact, data thieves are more likely to strike when you are most relaxed and in places where people tend to let their guard down. While the Internet is an integral part of most organizations today, this widely used public network is also the source of data theft, cyber stalking and many other dangerous threats. Navigating the web safely can be particularly difficult---many cannot identify a threat before it strikes. Both Silent Circle and Lavabit recently shut down their encrypted email services. Lavabit was the first to take action following word that the United States government wanted data handed over that would violate customers' privacy. Ladar Levison, owner of Lavabit, said he faced the decision of complying with the government and betraying the American people or ending the email service he worked hard to build. He also said that he was legally unable to explain the events leading up to his decision due to recent laws passed by congress blocking his freedom of speech. Across the country and around the world, cyber attackers continue to discover new and improved ways of wreaking havoc with company's business operations. Their nefarious activities are responsible for billions of dollars' worth of damages in intellectual property theft. 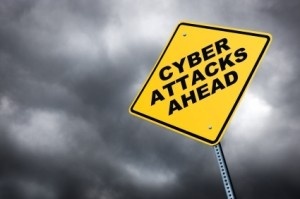 While cyber security teams attempt to circumvent these onslaughts, increased technological advancements continue to speed up the time between perceived threat and actual intrusion. How can a business entity keep up?